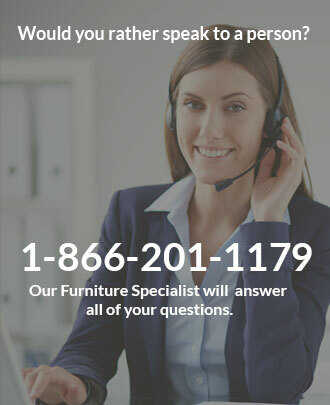 To replace broken casters, change color, keep your chair from moving by using glides or switch to a caster for wood or laminate floors. 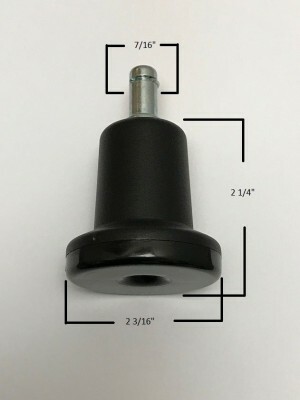 Replacement Casters in black, white, brown and almond that will fit any chair that accepts a stem that measures 7/16" diameter and is 7/8" long. 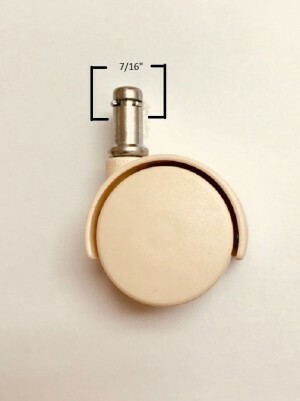 The casters are approximately 1 3/4" diameter. 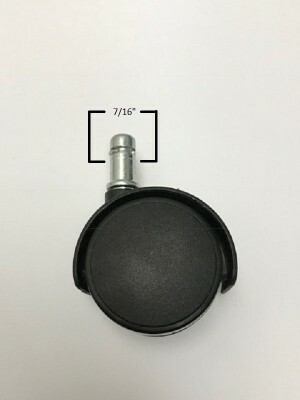 The soft casters are approximately 2” in diameter available in black only. 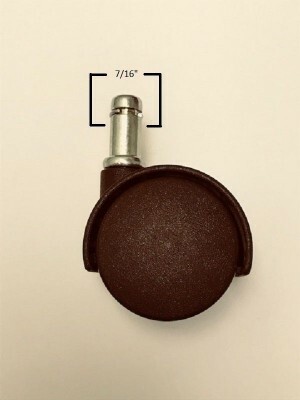 YOU NEED TO REPLACE ALL CASTERS ON A CHAIR BECAUSE THE OLD CASTERS WILL HAVE WORN DOWN OR MAY BE A DIFFERENT DIAMETER. MIXING CASTERS MAY CAUSE YOUR CHAIR TO WOBBLE.